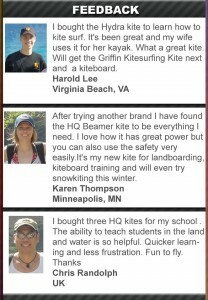 If you have previously read this page, and are ready to start shopping for kites, check out the Buying Your First Trainer Kite page. If you already know this stuff and just need more gear, check out our kiteboarding message boards. If you already have a kite, and you’re looking for a more detailed explanation of flying the kite and the wind window, you should, check out these mini lessons on theory on launching and flying your kite. A: Kitesurfing is a combination of wakeboarding, snowboading and surfing – but with more freedom. You can use a directional board, much like a surfboard, or a bi-directional kiteboard similar to a wakeboard to surf in the open water, without boat or a need for waves. You use a “traction” kite to generate the pull needed to pull you over land, snow, or water and hold your edge. Kiteboading allows you to surf in, over, and out of waves, to boost huge air (20-30 feet or more) off the water pulling tricks and go upwind while being pulled by a power generating kite. Q: Is there a difference between Kitesurfing, Kiteboarding, Landboarding, etc? There is no difference between kitesurfing or kiteboarding. But there are different categories of kiting that include landboarding (using a 4 wheel board instead of a kiteboard and traction kite to pull you on land). Q: How much does it cost to start kitesurfing? A: It really depends on how much gear you want to get for different situations. You can get started by investing anywhere from $500 to $3000, depending on the quality and newness of gear you choose. A kite, board, harness, bar and lines are all that’s needed. If you are in cold water, you may want a wetsuit, booties, gloves, Two or more different kites will help for different conditions also. That way you are never sitting on the beach when the wind is up. There are beginner packages available. One thing you will definitely need is a trainer kite to learn the mechanics of flying before getting a larger kite. Q: What do I need to kitesurf? A: You will need a kitesurfing kite, kitesurf board, kite control device (bar and lines), harness. When starting out you will want a helmet and a pesonal flotation device as well. A: Lessons can run anywhere from fifty dollars, to several hundred dollars to get you started in kitesurfing. A lesson is highly recommended both in terms of safety and speed of learning. Q: Is kitesurfing easy to learn? A: Yes. Those with previous experience in surfing, kite-flying, snowboading, windsurfing or wakeboarding will have a quicker learning curve. But even without those things learnign should be quick with some understanding of the theory and practice. With proper instruction, the learning curve is much faster. It is recommended that all beginners receive some sort of training. Q: Can I learn from a website, magazine, or friend? A: Leaning from a website and magazine might be possible but an instructor is a much better source of information than a website. An instructor can watch and recognize immediately what you are doing incorrectly and offer advice and hands-on training. He or she can also help you with gear selection and set-up. A friend will not have as much experience as an instructor and will most likely rather be on the water kiting than teaching! Q: What physical condition should I be in? A: While there is no need to be a gymaholic or olympic athlete, a moderate level of physical fitness is will help you out. If you cannot swim, you should learn. Q: Are kite skills that important? A: Kite skills are the most important aspect of learning to kitesurf. Learning how the kite responds in different situations is the foundation for kitesurfing. . Once your kite skills or so dialed in that you don’t even need to look at the kite to know where it is, you will have a much better experience. Q: Why all the different types of kites? A: It can definitely be confusing at first. There are many types of kites: Leading Edge Inflatables (LEIs), Foils, Ram-air foils, C-kites, SLE, Delta, etc. The main reason for the different types is that they have slightly different ways of attacking the same problem – how to pull efficiently pull a kiter across a surface while maintaining control. Some work best on land, some better on water, some are easier to set up, some require more lines. As you read different sections of this site and the forums you will learn the purpose of the different kites and which is best for you. Luckly the first step of buying a power training kite remains the same to get started. Q: What’s a Leading Edge Inflatable (LEI)? A: LEIs are kites that have built-in bladders that must be inflated before use. These bladders form a frame to hold the kite material’s structure, and since they are filled with air these are better for using on the water. If the kite hits the water for any reason, they float and can be relaunched. However, the bladders can also be popped if they hit a surface hard enough. Bladders can be replaced, though, at a minimal charge. Q: What’s a foil, or a ram-air type of kite? A: Foils and ram-airs do not use bladder inflation devices. These kites have two layers of nylon as opposed to one, and form an airfoil shape -similar to an airplane’s wing profile. Some foils require bridles, a complex structure of external lines to hold the kite’s shape in the air. Some kites called ram air foils use internal bridles and use vents to force the air in to give it structure. These kites are usually lighter than LEIs, and will float for short periods of time. They require less setup since there is no pumping, and are safer to fly over land or over ice and snow. Q: What’s the difference between two-lines and four-lines? A: Two lines are easier to setup and best for the beginner since there’s less to worry about. Four line kites add more control of the kite to depower it while flying to increase windrange and make the kite less succeptible to gusts of wind. The four lines also increase the performance of the kite by increasing its responsiveness. Some trainer kites also have a third line which is safety release in order to safely land or launch the kite. Q: Which kite is best to learn with? A: A “trainer” kite is best to learn with. These kites are typically very small and generate smal amounts of power. They are fun to fly and really teach the beginner about the wind window and theory. 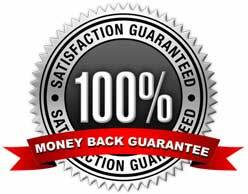 Most trainer packages are inexpensive and include a safety system. There are now kites on the market that can be self-launched and even water relaunched. Ram kites are typically used as trainer kites because they are simple and can take the abuse of crashing without damage. Q: Do I need more than one kite? A: Probably. Unless you plan to kitesboard in similar conditions, you will probably require two, or even three kites. Each kite will provide a wind-range for your ability and weight and board size. 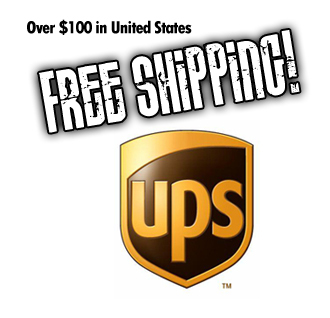 As you read through this site you will learn more about what size will be best for you. Q: What types of boards are available? A: A considerable amount of research goes into developing different types of kite-specific boards. There are wakeboard-style boards, directionals, bidirectionals, etc. Each offers a different theoretical riding benefit. Directionals look like surfboards. They are designed to be ridden in one direction, and when turning, the rider must “jibe” much like a windsurfer. Bidirectionals can be ridden in both directions, much like a snowboard. These boards can be “jibed”, but foot position doesn’t change. Wakeboard-style kiteboards are much like wakeboards, also having a fixed foot position. Q: I’m a windsurfer, what’s the difference with kitesurfing? A: Kitesurfing, first of all, is very different than windsurfing and offers the rider more challenges. For example, a rider can kitesurf in as little as 7-8 mph of wind with the proper skills and equipment. Once 10 mph is achieved, some kitesurfers can start jumping. In windsurfing, under 15 mph is usually not fun. Secondly, windsurfers need waves to help boost them into the air, kitesurfers can jump off flat water and still get good height off the water. Q: I have wakeboarded, water-skied or snowboarded before, will these skills help shorten my learning curve? A: Yes it will. These board sports all offer similar skill sets and will help the speed of learning considerably. Q: Can I kitesurf where there are other windsurfers or water skiers? A: Yes. Kitesurfing can be done on any larger open-water area where the wind is unaffected by geography (buildings, dense trees, etc). However. if you are a beginner, it is best to kitesurf away from crowds and boats to limit injury to yourself and others. The lines on the kite are typically around 25 meters long. As a beginner, who is still learning to control all the aspects of the board and kite, it is recommended that the kite be flown away from others for their safety and yours. Remember, kitesurfing is a potentially dangerous sport. It is wise to take lesson at a local reputable school. We will be adding lists of reputable schools soon. Until then read our mini-lessons and get a Trainer Kite package.